Have you ever become aware of your mind the moment that it truly becomes stumped with a new situation in life? The split second where you become utterly empty, then the quick realization comes that you really “don’t know“. If you have ever stayed very alert and observed your mind, you will see that you are in a very beautiful space. A mind that simply says “I don’t know”, that doesn’t then try to seek understanding with all its current knowledge and past memories. A mind that doesn’t try to cover up its lack of knowing, becomes extremely quiet and therefore very open. If you pay attention your mind becomes incredibly alert and sensitive. A sensitive mind is an intelligent mind. An open mind is ready to truly learn, to learn about something for the first time without any prejudices to color the experience. A mind that has a similar quality to when you where a child and approached life with eyes of wonder. The reason I love to live in foreign countries is because I try to live my life in the moment, and consequently in a foreign environment I always find my mind saying “I don’t know”. I recognize that awareness and try to stay in that space so that what ever I am experiencing becomes an amazing learning experience. I try and look at it like its my first time even if on the surface it looks familiar. A mind that thinks it knows always functions on conclusions. You experience situations and circumstances in life and your mind says “I already know”, then you cease to learn because you already feel you know. I feel that a mind that lives in conclusions ends up living a very superficial life, you quit trying to penetrate things to their depth, you quit looking for beauty and meaning. My grandfather who lives in Mexico is not very educated, he leads a very simple life in a small village. He may not be an intellectual but he Is very intelligent because he still approaches the world with eyes of wonder. He still has a very alert and sensitive mind that is not bogged down with knowledge from hundreds of books, life is still his classroom. Everyday he spends hours walking, he says “its not that I like walking, my body begs me too” and on our walks he is aware of his whole environment, he gives his attention totally to something, therefore he sees beauty all around him. We make dozens of stops on our way to the store and one of them is just to watch a bird dancing on a tree branch, he will give his total attention to it, and say “look how happy he is, how beautiful, I wonder where he is going to go next”. Have you ever gave your whole attention to seeing a squirrel playing? To just watch and observe it totally without verbalizing or giving it a label? Seeing something simply is one of the most difficult things in the world. I think that to give the purity of your attention to something is one of most loving acts one can do. Living in Costa Rica I went on a “Silence retreat“ with my friends, for several days we could not communicate verbally. If we needed to communicate something we would write it on the chalk board. We would go on little walks with someone and explore the beautiful nature around us, but you could not be like “ hey!.. look.. that’s a beautiful flower don’t you think ?”. So then all you would have are two people in an amazing location taking in all the sights and sounds, just a deep communion with nature. Not being able to talk can be very difficult at first, but after a few hours you will see that your mind becomes very quiet and the incessant inner chatter become less and less. When you quit trying to verbalize everything you experience you will see that you are able to see something simply. So I would like to encourage anyone to go on their own “silence retreat”. A few hours is great but the more time you can afford to do, the more discovery’s I think you will make. Go on a walk through the forest with your loved one, be in complete silence, then after your walk share your experience. What did you observe in your surroundings? What did you observe in yourself? Did you learn anything new? Try to recognize that state of mind that “doesn’t know”, because that is a mind that will reveal and teach you something new. Wow, the silence retreat in Costa Rica sounds absolutely amazing; I’d love to try this myself some day. Thanks for this post, just reading it made me feeling more peaceful and aware. Ivan, I use to always be in a hurry. But the last year or so, I’ve slowed down. When I slowed down I became calmer, more relaxed and more aware of my environment. .-= Omar´s last blog ..Bad Performance, Bored Audience, Persistent Comic =-. I agree with you. Everybody has a one-track mind, go go go. We should stop stop stop, while we still can. I have been thinking about this for years. Finally, someone with a great outlook !!! .-= Brian LeBow´s last blog ..Cheese and Crackers (a lesson in appreciation & fulfillment) =-. great post man. i came to realize lately that there is a difference between people; that some are in a learning state of mind (listeners) and some people just want to be learnt from (talkers), and it seems those that simply want to talk at you and to be learnt from are very close minded. they live in a mode like they have already done there time and know everything there is to know, like someone who lives by a particular religion, they have an answer for everything and avoid any new kind of perspective. but there is no progress for them in life whatsoever, so i dont understand why they have this attitude. its the kind of attitude where “i am older than you, therefor i am right”. its tough to live with. im not as good with my words as you but i completly feel you on this, you seem to always make a blog about something that i have lately been thinking about. anyway, keep up the great work man. 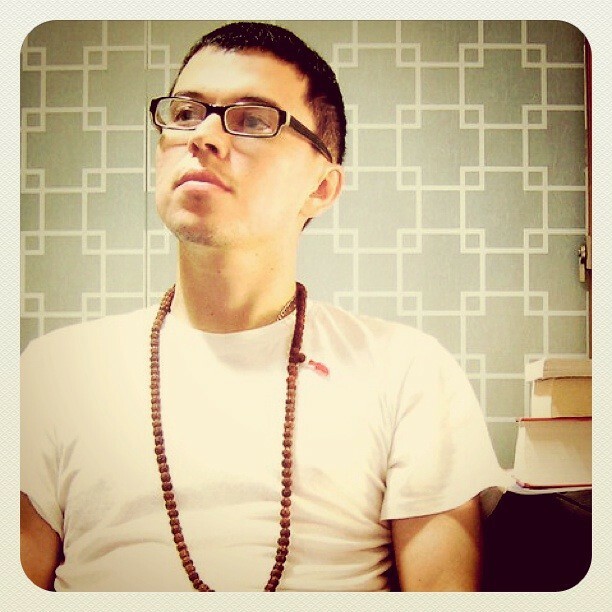 .-= Ivan Campuzano´s last blog ..I Don’t know: The State of Mind That Leads To Discovery =-. Good to see your readers are growing and your site is getting bigger! How are things in Costa Rica? Well said. Logically, before knowing comes un-knowing…therefore conscious un-knowing is prerequisite to conscious knowing. Or vice-versa. Etc. Great post, this reminds me of my theory courses in my education masters degree program. In discussing the factors that create the best environments for students to learn, we determined that Novelty and Challenging subjects are two important factors. As a student comes across concepts that are new and challenging, they are naturally motivated to dive into the subject and explore it with vigor. There are other factors, of course, but it is important for our development to remain open to new challenges and put ourselves in environments that will allow us to experience and learn new things. .-= J.L. Zoeckler´s last blog ..My thoughts about warming up your mind as well as your body… =-. This is an extremely insightful article that resonates with me deeply. Thanks so much for sharing. .-= Nea | Self Improvement Saga´s last blog ..Love and Relationship Quotes =-. Loved this Ivan! wanted to say how living an ethereal existence heightens my senses beyond belief. Life becomes a truly magical ride(this also lies with your ‘How to have new eyes to see the world’ piece.) Taking a walk with your grandfather would be heavenly,he sounds adorable! Most importantly,i like to relax & have FUN with it! Welcoming your new laughing Buddah(just tickled his tummy):)))namaste!